Fees associated with filing trademark applications in Poland, as well as other trademark fees, are available in the fee calculator. Multiple-class trademark applications are possible in Poland. - an indication of goods and services where the trademark will be used. Official legalisation is not required. The POA may be submitted within a month from filing a trademark application in Poland. If the applicant is a legal person it is necessary to provide the Polish Patent Office with the excerpt from the Commercial Registry certifying the person signing a POA is duly authorised to act individually on behalf of the company. The priority document must be provided within three months from filing a trademark application in Poland. If the priority document is not in English, French, German or Russian, a certified translation thereof must accompany the document. The term for filing an opposition against Polish trademark is three months from the publication of the trademark. The term for payment of the official grant fee for trademark certificate in Poland is three months after the decision on the granting of the right of protection was delivered. The validity of a trademark right in Poland is ten years from the date of filing of the application to the Polish Patent Office. Polish trademark may be renewed for ten years an unlimited number of times. Applications for renewal must be accompanied by payment within 12 months before the expiration of the registration period. The renewal is possible within six months after the renewal due date by paying the extra fee. The validity of a trademark in Poland may be revoked in case it has not been used within five years from trademark registration. Foreigners residing outside Poland must perform the trademark prosecution through an agent, a registered Polish trademark attorney. The following, in particular, may be considered as trademarks: words, designs, ornaments, combinations of colours, the three-dimensional shape of goods or their packaging, as well as melodies or other acoustic signals. 1. Online Search databases: Polish Trademarks, EU Trademarks, International Trademarks. 2. 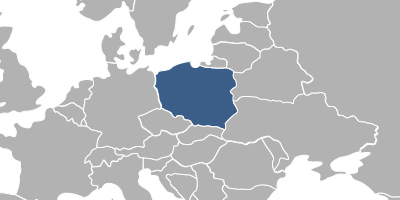 The trademark protection in Poland may also be obtained via registration of a European Union Trademark.